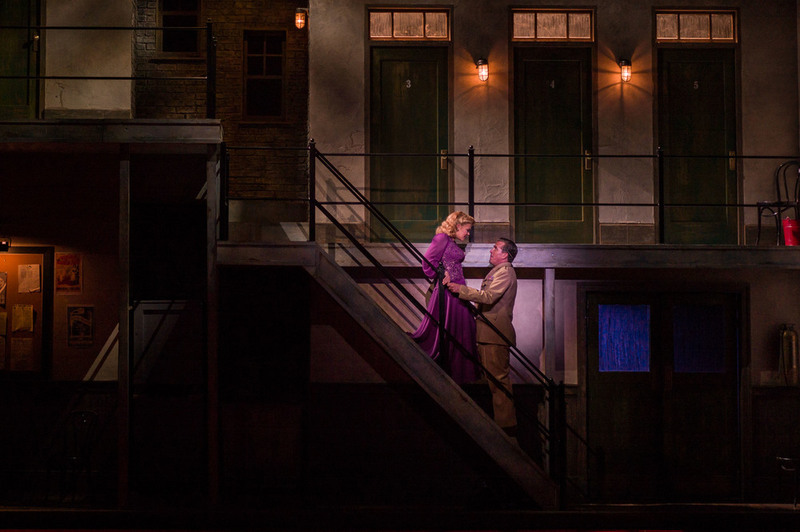 "James Noone’s Sceneic Design is incredible. [...] They were large and intricate and were a visual treat on their own, even had there been no actors, no dances and no fabulous lighting – designed by Paul Miller – to complement them." 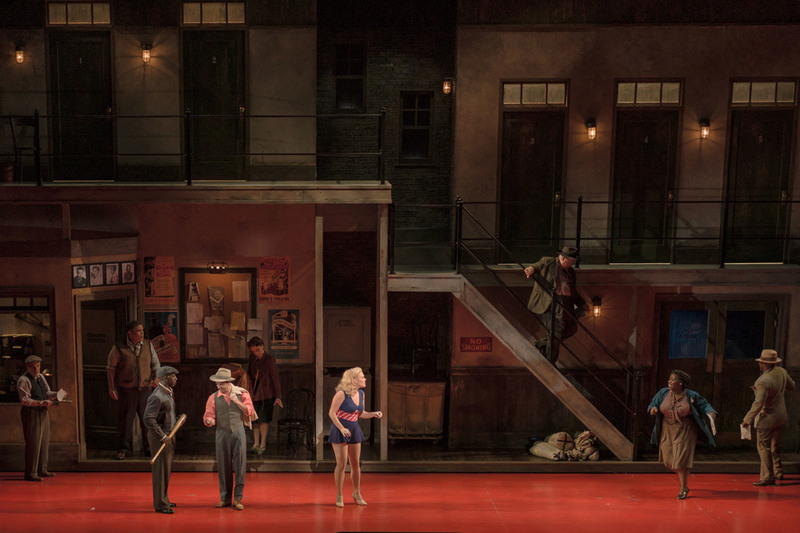 "James Noone designed the scenery which ranges from a Piranesi-like black and white pen rendition of an Italian urban scene to crudely drawn and painted palaces and crummy backstage quarters with many doors. 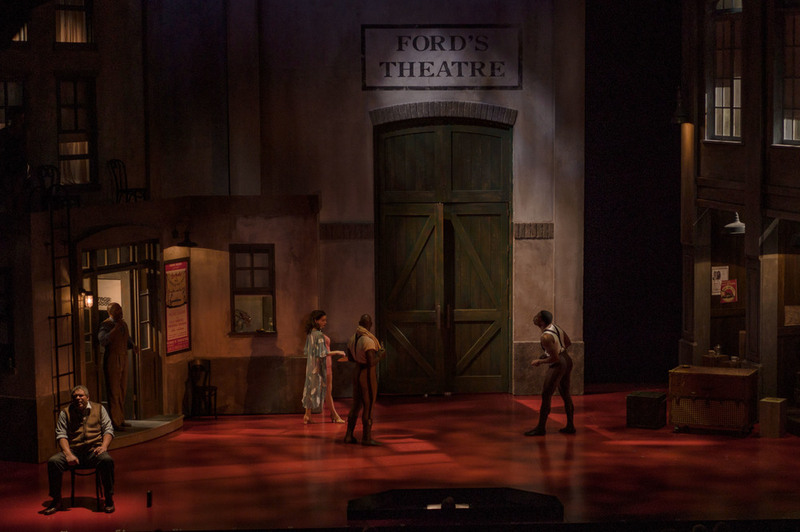 Lighting Designer Paul Miller provides many moods and adds to the humor with theatrical jokes such as having a spotlight in the wrong place." "In keeping with the period of the show, Paul has worked with scenic designer James Noone to create an intricate trompe de l'oeil on-and-offstage setting. 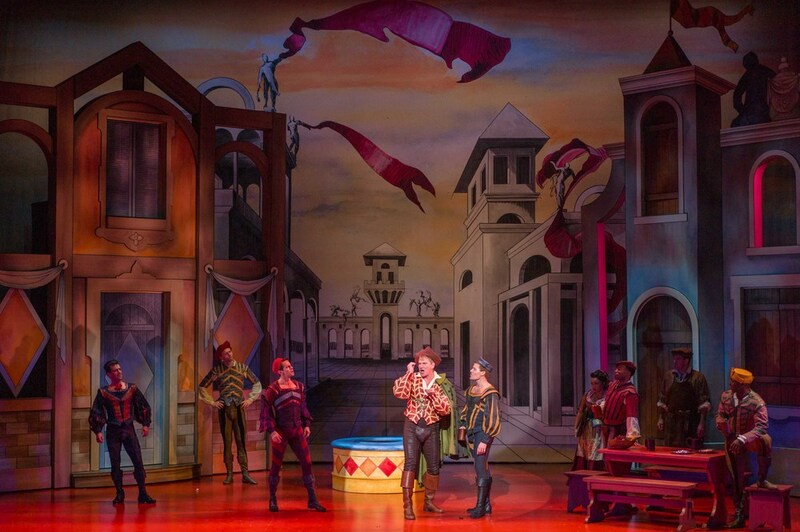 The faux "stage curtain" comes down, performers do a crossover number in front of the curtain while the scenery changes behind it, but it's all part of the design. 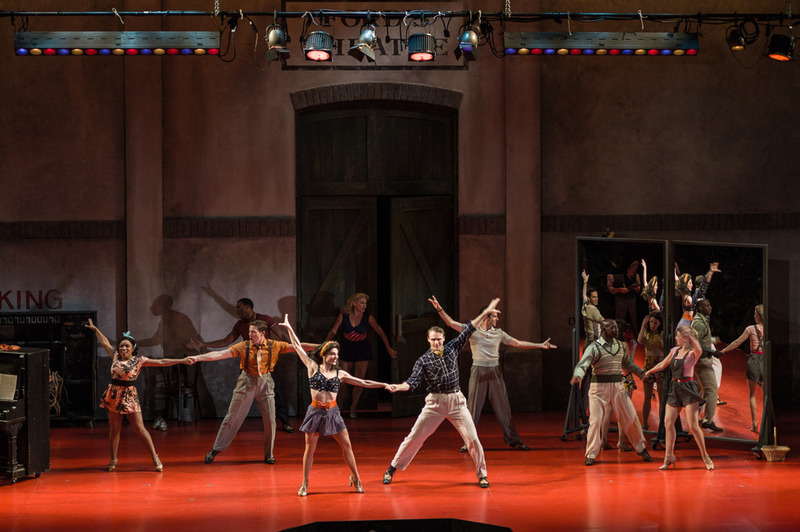 Alejo Vietti's costumes, Paul Miller's atmospheric lighting design and the 11 musicians, conducted by James Cunningham, contribute to the luscious overall effect."